While I love my gaming PC (I even named it The Monster and will pet it lovingly when turning it on), I always like to have at least one console on hand. For one thing, I have a TV that is just the right size for my living room but overkill for my office, and I don’t have cable, so having a console means it will get used. Also, you can’t get every game on the PC, and it’s easier to play together when friends come over. So, after using my PS3 almost exclusively as a streaming device and Blu-ray player for the past several months, I finally decided to upgrade to the current generation. After much research and discussion with my wife (also a gamer, and very supportive of my hobbies), I settled on the Nintendo Wii U. It appealed to us both, I love the Nintendo characters, and the only console-exclusive title I care about right now that is not a Nintendo game is the Halo collection—and it’s not exactly firing on all cylinders right now. Thanks to a Kotaku deals posting last week, we were able to grab a bundle with Super Mario World 3D and Nintendo Land pre-installed. I set it up as soon as we got it and spent a large chunk of this past weekend with it (when I wasn’t working on my second play through of The Witcher in anticipation of the third game please don’t let there be another delay). After my first few hours with Nintendo’s newest box (which is already two years old! ), here’s my initial thoughts. It’s a Nintendo console. There is always a charm and quirkiness to their hardware and software that nobody else can duplicate. The machine itself just looks friendly. It’s all small and cute; it almost looks like its smiling. The menus and music are laid-back and soothing—after years of looking at the PS3’s super-serious “grown-up” aesthetic, the Wii U’s menu was refreshing. It was clean, straightforward, and inviting. Super Mario World 3D made me smile. Like, genuinely smile. I felt joy playing it. It was fun. The levels were challenging but not frustrating. The visual design was bright and full of classic Nintendo personality, and the level design was clean and logical (as logical as a Mario game can be). Unlike most other games, which use new-gen processing power to give us detailed, fully-realized urban environments with little to no actual character—just shades of brown and black and gray—the environments in this game are vibrant and varied. It’s a great game that really feels like a game, and not a game that wants to be a movie. The Gamepad is the biggest innovation in video game hardware since analog control. I know my experience with it is limited, but I’m already calling it: this will be feature that other manufacturers steal from Nintendo. The ability to stream the game directly to the controller while using the TV for something else (or even when you’re in another room) is just awesome. I can easily see my wife and I gaming together even when she wants to play Guild Wars 2 and I don’t, thanks to this feature. It’s a little on the hefty side, but its not so unwieldy that it hinders game play. The touch screen and stylus makes formerly tedious tasks—navigating menus and inputting passwords/usernames—relatively painless. Nintendo Land really shows off the ways that the Gamepad can be used for new game play experiences. I can’t wait to see what’s in store for the future, given that the Wii U realistically has at least another 3-5 years shelf-life. It’s completely backwards compatible with the Wii. Not just the games, but the controllers. It’s a good thing to know that my wife and I can instantly play games together without investing in multiple new controllers (unless we want to, and we do want to—more on that later). The one thing that Nintendo has done for the past couple of generations is the one thing that ALL manufacturers should be doing, and that’s not rendering useless the games from less than a decade ago. I’m glad to see that they’ve taken this approach to hardware as well. So many controllers! I understand the need for the Gamepad to be the default controller, and that’s why a single player (or player one in multiplayer games) would need to have both controllers synced if they wished to use the Pro controller instead of the Gamepad. This does seem to more trouble than its worth, however, and it drives the cost-of-ownership of the system up. I don’t have a Pro controller yet, but I’m sure I’ll come to prefer it for just general game play. It would be nice if one came bundled; I would have gladly paid an extra $30 for the console if that was the case (yes, I know it retails for $50, but the point of a bundle is to get an overall discount). No Blu-ray or DVD support. I knew this going in, but its still one of the console’s weak points. I respect that Nintendo is trying to make an honest *gaming* console and not just a home entertainment box, but they’re already added streaming apps—why not pop in Blu-ray and DVD support? For people dead-set on getting the Wii U, like me, it’s not a deal breaker. But, for those trying to decide between a Wii U and any of the other major consoles, it could very well be. There’s no way it’s going to happen now, unless Nintendo releases a Wii U Plus or something like that, likely at a healthy mark-up, but I would settle for an inexpensive add-on in the vein of the ill-fated Xbox 360 HD-DVD player that I am *so very glad* I never bought. Then I could get rid of my PS3. We’re not getting along well and I’m getting tired of looking at it. No one is allowed to ever say “Red Ring of Death” ever again because I had my Xbox 360 for years and it never gave me any issues. This hunk of plastic constantly freezes and loses its Internet connection. It better be glad that the WWE Network app is a console exclusive and it plays Blu-rays, I’m just sayin’. Lack of 3rd party support. Again, I knew this going in, doesn’t mean I like it. Case in point, here is a list of 3rd part games I want to play on the Wii U: Zombii U and Bayonetta 2. That’s it. I fear that we’re going to miss a lot of innovation from developers when it comes to the Gamepad screen because they simply don’t want to support the Wii U. I understand that putting a triple-A title on a Nintendo system is risky, but maybe use the Wii U as your platform for taking risks: publish games with those weird, zany design and mechanics that the intern cooked up and was telling you about, or to let the top-notch designer who is thinking of setting up his own studio play around with so he doesn’t become your competition. Happy Nintendo Fanboy is happy. I was in the camp that felt betrayed by the Wii. I defended Nintendo against the haters, and was awed by the initial round of quality games, but the middle of the console’s life was plagued with shovelware that traded quality game play for motion control gimmicks. Some great games were released—namely Super Mario Galaxy and its sequel—but the third party graveyard and Nintendo’s seeming desire to reduce gaming down to its lowest common denominator turned me off. So, after months of frustration, I abandoned my Wii. I still loved the Nintendo characters, however, and have missed playing games featuring them. 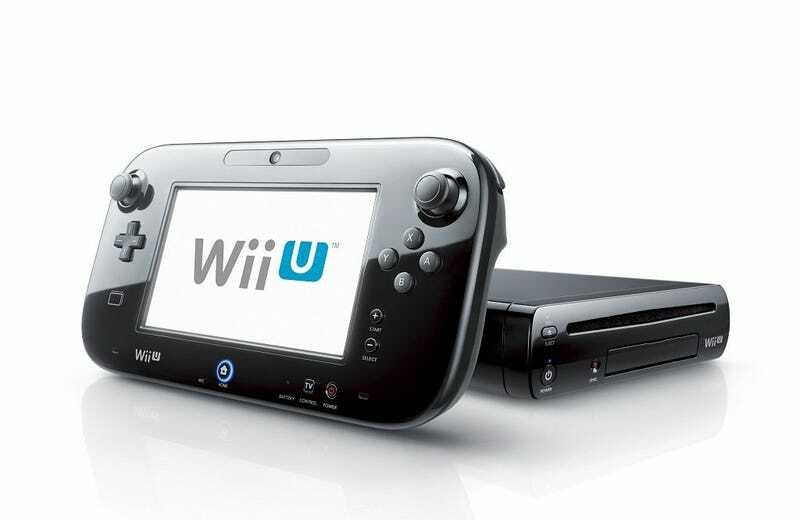 When the Wii U came out, I considered getting one, but was apprehensive. After hearing almost all good things and seeing some quality games come out, especially in the past year, I decided to roll the dice and I’m already glad I did. It generally takes awhile for any console to gain its footing, and Nintendo consoles generally take a little longer. As it enters its third year and I’m just hopping on, I feel like I’ve got on at a good time. I can’t wait for StarFox and The Legend of Zelda. My wife and I will have fun playing together. Mario, Yoshi, Link, and Bowser are permanent mainstays in my home once more. As a gamer, I couldn’t be happier with my purchase.